The festive season is the perfect time to learn about wine with so many cork popping celebratory moments. The purchasing and tasting opportunities are plentiful and a little knowledge will go a long way. From how to taste wine, pair it with food -from meat to cookies, flavour profiles to a few essential wine hacks, there's always so much more to learn about wine. Fill in any gaps in your knowledge with our collection of 11 easy charts listed below, and you'll be guaranteed to hold your own at any dinner party. If you want to look like you know what you're doing when it comes to tasting wine, master the basics with this simple visual guide. Opened a bottle and having trouble telling if it's corked or not? This infographic will give you some handy pointers to help you decide. Get into the basics of how to match food with wine to make the best of both in this simple guide. This great guide offers some useful advice on which wine to drink with red meat or fish, and not only that, it tells you why you should choose it. For example, did you know you can happily enjoy a glass of pinot noir with salmon? But why? Have a look at this handy infographic and find out. 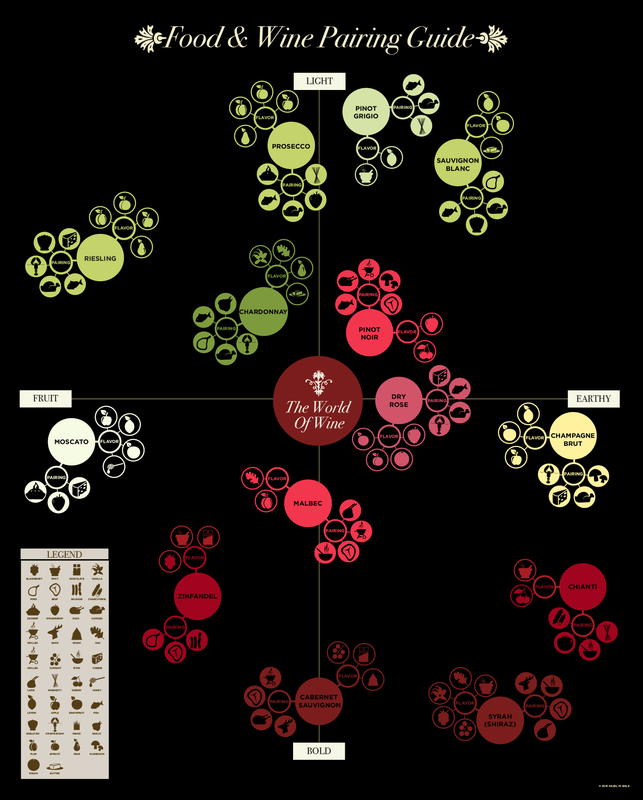 This is a great guide that covers the breadth of the world of wine from spakling whites to earthy reds and just how you could match your favourite wine with the right food for that winning combination. 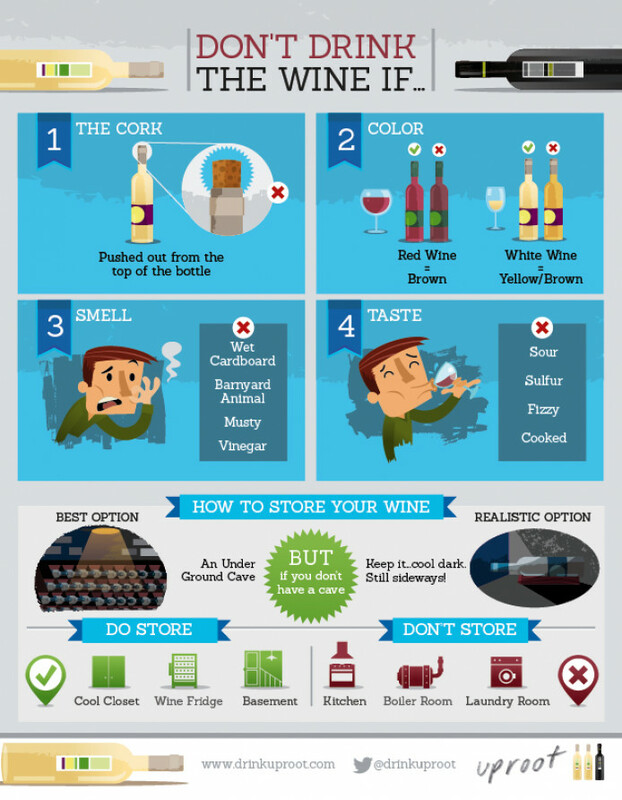 If Christmas is all about the cookies check out this infographic which will have you feasting on cookies with wine. There's no better time to enjoy a warming wine cocktail than at Christmas. Fill yourself with Christmas cheer from the inside out with this selection of 10 cocktails. 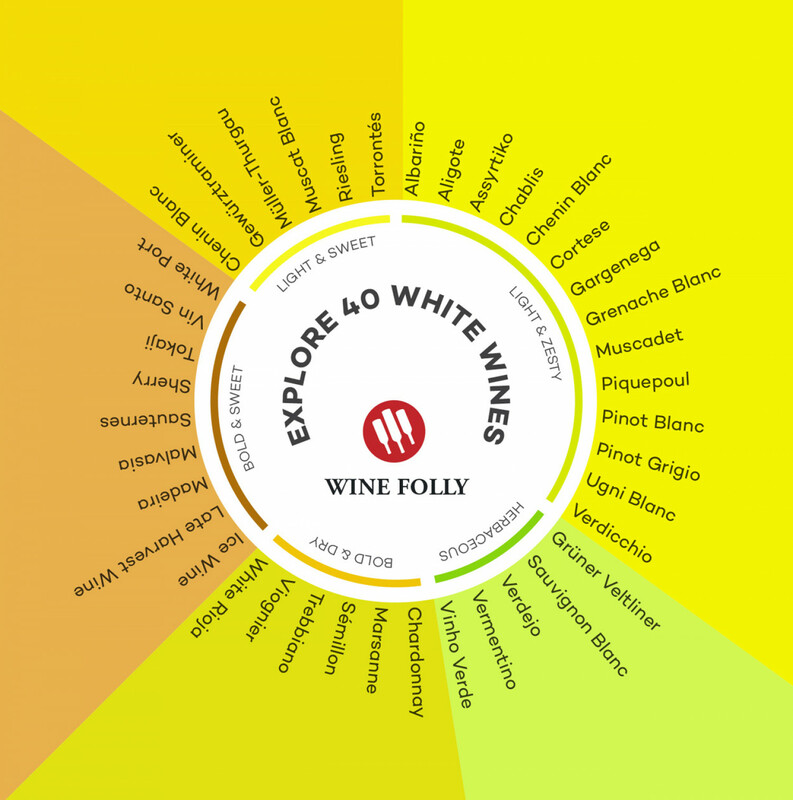 Get to grips with 40 white wines with the wine wheel which will take you on a journey from bold & dry round to herbaceous. 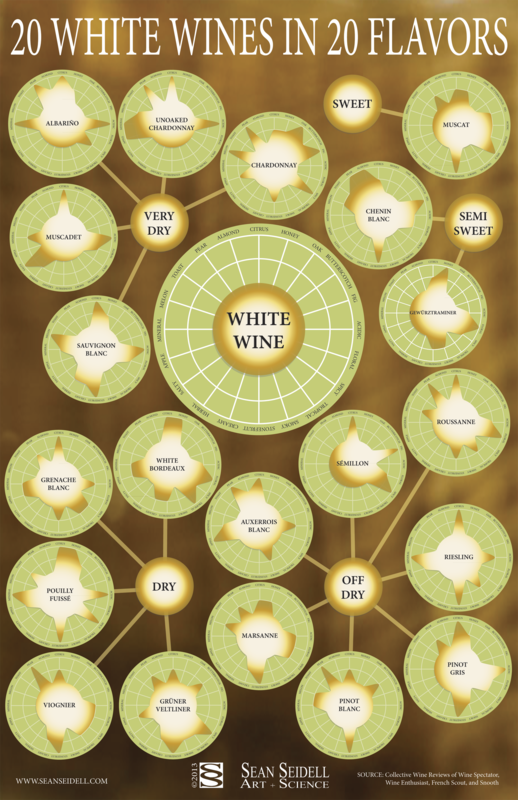 20 White Wines in 20 Flavors sets out some simple guidance on the qualities of a range of white wines and is also a great guide for improving your descriptive wine vocabulary. This is the ideal go to guide when you're in one of those frustrating predicaments like being on a picnic with a chilled bottle of white and you've fogotten the corkscrew. Have a look to find out about the ribbon and shoe method and more besides in this guide to 14 wine hacks. Reach for a glass of red to unwind in an evening? You could be onto something in this research that suggests a little wine makes you smarter, more creative and attractive. But we knew that aleady right?